More than eight out of 10 business leaders argue their organisational culture can give them a potential competitive advantage. Yet 86% of executives also cite a ‘lack of collaboration or ineffective communication’ for causing workplace failures. Disjointed, dysfunction teams working in silos or at cross purposes can harm productivity, competitiveness, engagement and morale in any organisation, especially when it’s senior leadership teams that are failing to pull together. Why it’s not just enough to be ‘good’ as a team and how the best ‘thriving’ teams take performance to another level. Why 32% of employees feel they are unlikely to fulfil their career aspirations in their current organisation. Why only 44% of employees have ‘faith’ in the ability of their leadership team to improve performance. This is how you can become a thriving team leader and create a more motivated, engaged and successful organisation. 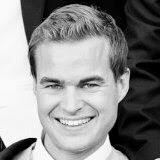 It’s time to talk about thriving teams. It’s time to get your people delivering on their potential. It’s time you became a Thriving Team leader. 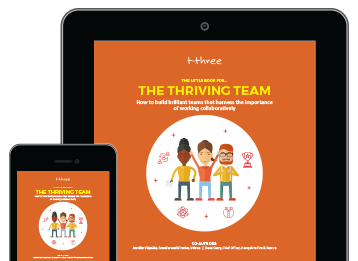 Download The Little Book For… The Thriving Team. How to build brilliant teams so your employees can harness the importance of working collaboratively.